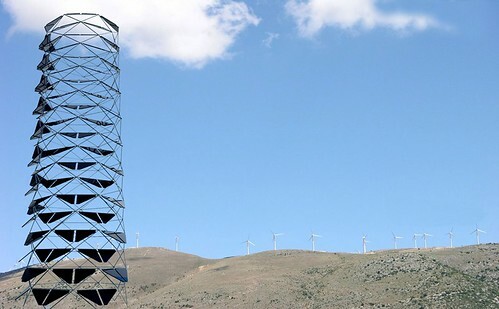 On the occasion of the 2009 G8 summit in L’Aquila, Italy, architecture firm MDAA (Massimo d’Alessandro & Associati) of Rome designed a photovoltaic tower to power an existing cellular communications aerial. The installation brought to life an idea that has been paddled about quite a bit in recent years: equipping our existing infrastructure with energy-producing technology. 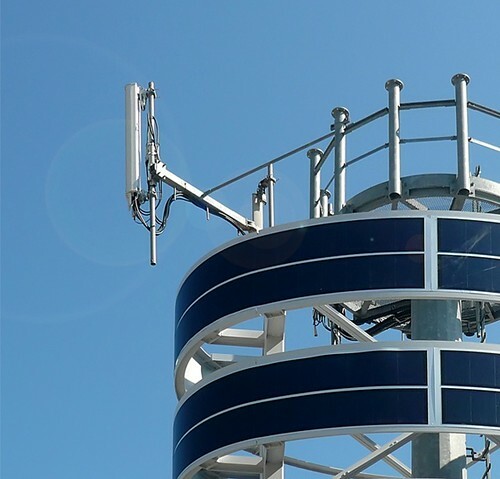 After the G8 tower was erected, MDAA designed a more efficient version for Vodafone (the largest mobile network operator in the world). 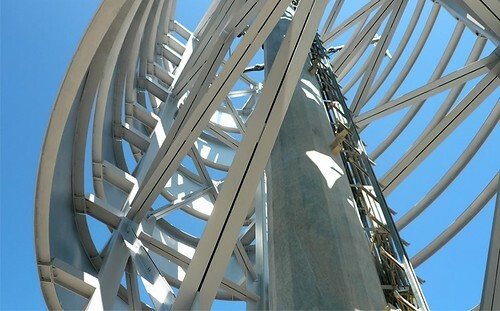 The new tower raises the design quality, lowers the use of materials, and is capable of producing 15KWp, enough to run broadcasting equipment. 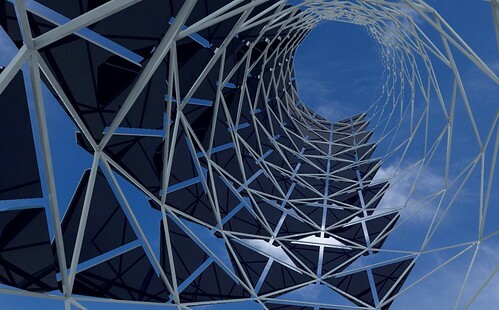 Check out that design, as well as more on the G8 tower, after the jump.